As a medium I love to deliver messages to those seeking to connect with loved ones who have passed to the Spirit World. Another vital part of my work is supporting others with their mediumship training and ongoing development in the knowledge that they may also go on to help others in times when the presence of spirit is needed. My training courses have been carefully designed to offer a personalised programme for mediumship and psychic development. Through a positive attitude, an empathy for my students and with an element of fun, I work hard to ensure my courses are completely rewarding and personal to each student. When students start on my courses they may already have an awareness of their ability that we are each born with as a part of our own personal spiritual blueprint. No matter what stage of the mediumship journey you are on, I will help you develop your skills while supporting any challenges you may encounter when broadening your mediumship development. Every medium works with their own Guides and Spiritual Helpers to bridge the connection between their world and ours. 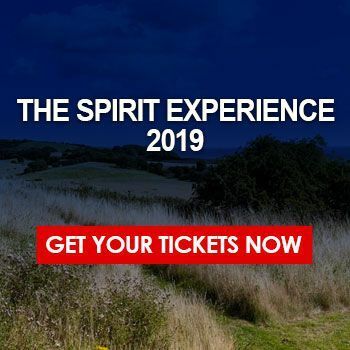 My Mediumship Training will help you discover and work with your Spirit Team while guiding you to learn new skills to strengthen the connection for a clearer mutual understanding. Even the most experienced medium can encounter challenges when delivering the messages they receive and connecting with a spirit loved one is only part of the process. Information must then be explained in a way that is recognised clearly by a recipient with empathy. Over the years through my work and going forward I recognise the importance of explaining what I experience in a clear and concise way that is easily understood. I can help you to find your own voice while giving you guidance on how to connect to the many different people you may help through your own abilities. Spirituality is more than a connection to Spirit, it is a way of life and requires patience, dedication, time and ongoing study to help you to understand your connection to Spirit, the life experiences you may have and a connection to your own Sprit. Developing your spiritual awareness along with your abilities is a natural part of my teaching ethic. Sign up to my updates email list. Find out more about my Private Mediumship Development tuition, Group & Online Mediumship Training Courses, workshops and seminars. Sign-up & subscribe to my email list to receive updates on my availability, readings, FREE training and workshops along with some spiritual tips and advice as my journey expands and takes us on new paths.